Vera John is a prestigious and innovative online casino that was established in 2011 offers direct play online games as well as mobile. The casino is owned and operated by Plain Support SA Casinos offering more than 300 casino games with its platform powered by multi-gaming providers. The Casino offers a generous welcome bonus package of up to €300 and its wagering requirements are not high. 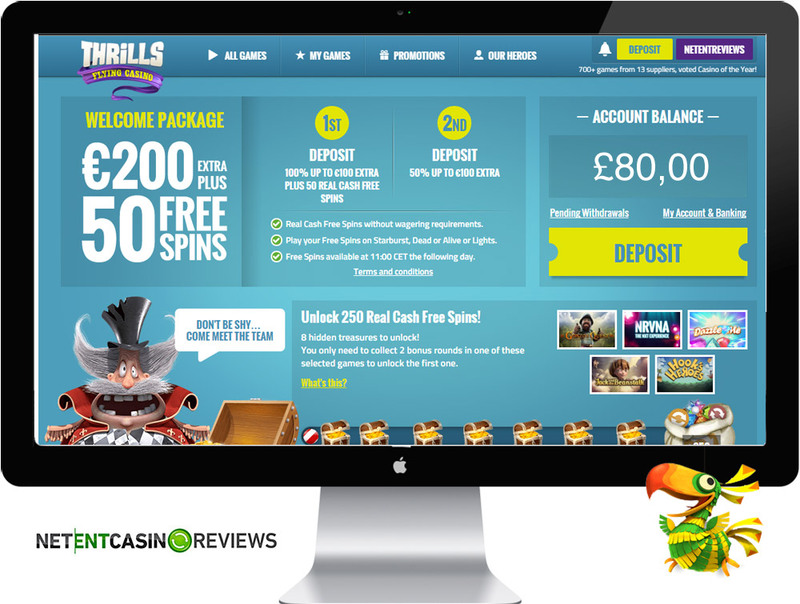 The casino offers a friendly customer service and fast payment options. Vera John is an online casino that offers a generous welcome bonus package and its license obtained in Malta. It is powered by reputable gaming providers that include NetEnt and many others offering an entire suit of NetEnt games with exception of NetEnt live casino games. Its interface is user-friendly with easy navigation and players are easily guided to their game of interest. The site is quick to load and high rollers will be offered a dedicated and personal VIP account manager and this is done by invitation. The casino was launched in 2011 and three years later, the founder members of the casino sold it for €89.1 million to the Intertain Group. Vera And John Casino offers exclusive bonuses and promotions that run on a weekly and monthly base. The more you keep playing at the casino, the more you will be rewarded. Regular Bonuses: Vera & John casinos offers an exciting bonus package that will boost you from the beginning giving you an early head start.All new players upon registering an account with the casino will be awarded a 200% match deposit bonus up to €100 on their first deposit. Your second deposit bonus awards you 100% match bonus up to €100. Your third deposit bonus awards you 200% match bonus up to €100. Exclusive Bonuses: The casino offers free spins and a variety of no deposit bonuses. Always keep checking the casino for its latest bonuses and promotions currently on offer. Wagering Requirements: The casino offers a wagering requirement of 40x on all bonuses offered. Its welcome bonus has an expiry period of 30 days and an added advantage is that you can partly withdraw the bonus even if you did not meet the wagering requirements of the entire bonus.However, when making withdrawals, a certain amount is charged from the balance. Vera John have different types of deposist and withdrawals. View the limits and the payment process below. Withdrawal limits: €2,000 per day and €10,000 per month. Withdrawal Process: Withdrawals are processed within 24hrs to 5 banking days. You can contact the customer support through email ([email protected]), telephone (tel. 0050625064144) and live chat. The opening hours of the customer support are 9:00 – 01:00 CET daily. Available Languages: English, Chinese, German, Japanese, Greek, Norwegian, Spanish, Portuguese, Swedish, Finnish & Thai. Vera John Casino: “This is what it’s all about. This is where it’s happening. 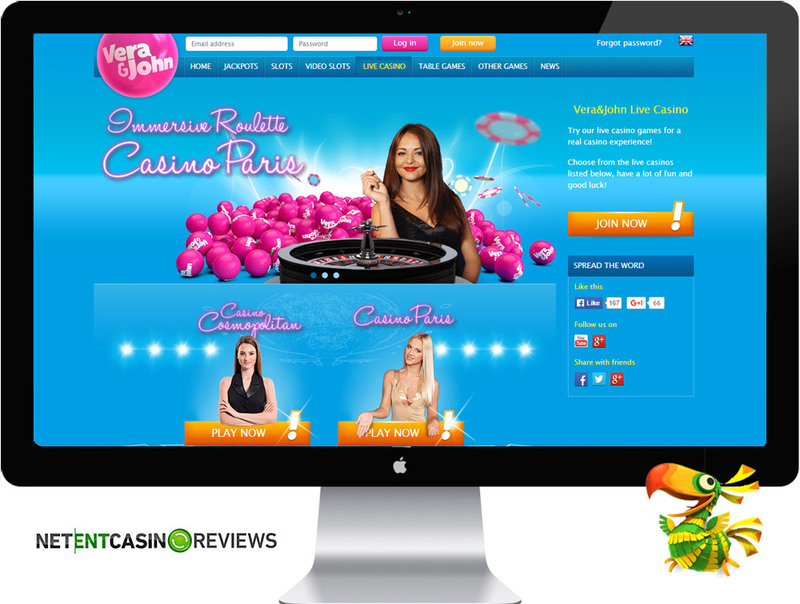 The casino makes use of a lucrative software application that is powered by several gaming providers that include NetEntertainment, BetSoft, IGT and many others. The software offers a wide range of casino games and players can choose to play for free or real money. Its direct play online casino offers a wider selection of games and it is quick to load. Most of its games have a return to player rate of 95% and the casino is frequently tested for fair play by independent testing labs. Vera John offers a mobile casino that supports iPhone, iPad and Android mobile devices. Players can access a variety of NetEnt Touch games as well as accessing the progressive jackpots too. There are more than 100 mobile games available and these can also be played for free or real money. Unfortunately, the casino does not offer any live casino games but players will surely get to experience great gaming action. Vera John casino offers more than 300 games and you will surely get to select a game of preference. The games offered include slots, classic slots, video poker, roulette, blackjack, keno, craps and many others. The games offer flexible betting limits that suit all players and each time you place a wager you will be awarded with coins that you can redeem for cash or free spins. Players can also partake in the tournaments offered by the casino. The tournaments run on a daily base with a prize pool worth up to €1,000. The tournaments are exciting and there can be more than 40 winners in a tournament. Vera John casino has an attractive welcome bonus package and stand out on their fast cash payouts. It’s a nice casino to play daily because of the daily tournaments and the customer service. Sign up at Vera John and have fun! 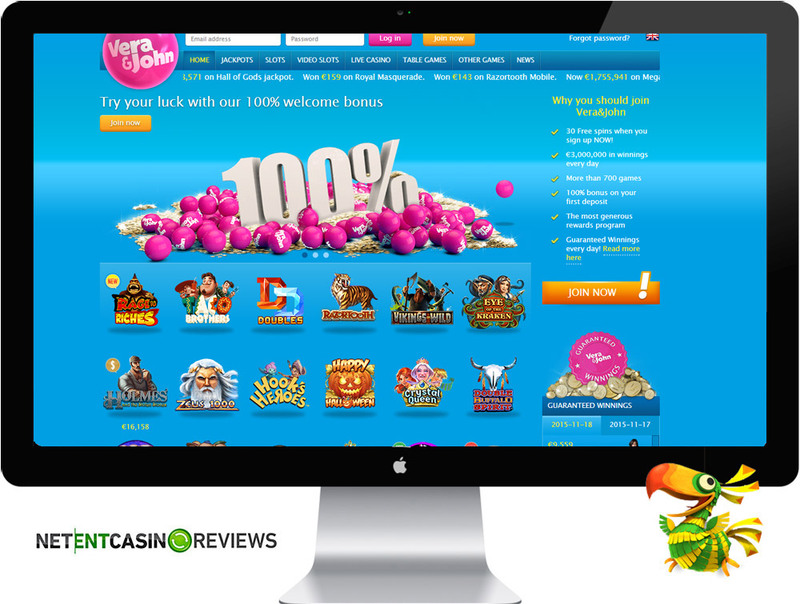 One comment on "Vera & John – Online Casino Review"
Great casino, superb service and a lot of Netent Games! Too bad they dont have branded Netent Games. I also like the fact that they offer customised bonuses in their loyalty shop!